The American Diabetes Association works to prevent and cure diabetes and to improve the lives of all people affected by diabetes. The American Society for the Prevention of Cruelty to Animals (ASPCA) works to rescue animals from abuse, pass humane laws, and share resources with shelters nationwide. The Bike MS: Valero Ride is a fundraising event benefiting more than 20,000 Texans living with MS. In 2010, more than 1,300 dedicated riders raised more than $1.15 million. The Cystic Fibrosis Foundation is a nonprofit that focuses on finding a cure to control cystic fibrosis and improve the quality of life for those with the disease. Farm Aid works with local, regional, and national organizations to promote fair farm policies and grassroots organizing campaigns designed to defend and bolster family farm-centered agriculture. 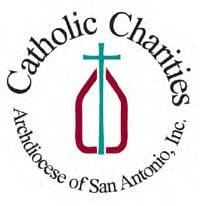 The San Antonio Food Bank (SAFB) is a non-profit organization that serves as a clearinghouse by receiving and storing truckloads of donated food, produce, and other grocery products. SAFB distributes these items in manageable quantities to over 500 service agencies that help people in need. The San Antonio Stock Show & Rodeo has grown to be one of the largest and most prestigious single events in San Antonio with over one million visitors entering the grounds each year. S.A.L.E. provides financial support to Texas youth as the result of support from patrons, donors, corporate partners and many hours of hard work by committed S.A.L.E. volunteers. The Leukemia & Lymphoma Society is the world’s largest voluntary health organization dedicated to funding blood cancer research and providing education and patient services. They have invested more than $680 million in research since 1949—specifically targeting leukemia, lymphoma, and myeloma. March of Dimes is dedicated to improving the health of babies by preventing birth defects, premature birth, and infant mortality. The organization provides support, research, and programs that help moms have full-term pregnancies and helps babies begin healthy lives. Ronald McDonald House Charities provides the parents of children who are in a nearby hospital a place to stay for reduced or no cost. The mission of Ronald McDonald House Charities is to create, find, and support programs that directly improve the health and well-being of children. The Salvation Army is an evangelical part of the universal Christian Church. Its mission is to preach the gospel of Jesus Christ and to meet human needs in His name without discrimination. Susan G. Komen for the Cure® is the world’s largest grassroots network of breast cancer survivors and activists who work to save lives, empower people, ensure quality care for all, and energize science to find a cure for cancer. Texas Watch is a non-partisan, advocacy organization working to improve consumer and insurance protections for Texas families. Texas Watch strives to provide a counter to wealthy special interest lobby efforts and ensure state laws reflect the true needs of families and consumers. The mission of the U. S. Marine Corps Reserve Toys for Tots Program is to collect new, unwrapped toys during October, November, and December and donate them to children whose parents cannot afford to buy them gifts for the holidays. The San Antonio Zoo is dedicated to savingwildlife and wild places. In addition to providing a setting for quality family recreation and public education, we challenge ourselves to go beyond the care, exhibition, and breeding of exotic creatures, to be a comprehensive center for conservation and a leader in global efforts to preserve threatened wildlife. The Boys Clubs opened in San Antonio in 1939 and was located on Dolorosa Street. Over the years the clubs grew in stature, membership and facilities, so much so that in 1963, Congressman Henry B. Gonzales presented then-President John F. Kennedy with a gavel and handmade box created by the members in their woodworking shop. Walk MS is the rallying point of the MS movement, a community coming together to raise funds and celebrate hope for the future. Thank you for making joining the movement and helping us reach our goal! We’re not done yet, and we still have steps to take before there is a cure. CASA is a national volunteer movement that began more than 25 years ago, when Judge David Soukup in Seattle decided he needed to know more about the children whose lives were in his hands. His solution was to ask community volunteers to act as a “voice in court” for abused and neglected children. These Court Appointed Special Advocates™ (CASA) provided him with the detailed information he needed to safeguard the children’s best interests and ensure that they were placed in safe, permanent homes as quickly as possible. The program was so successful that it was copied around the nation. Family Violence Prevention Services, Inc. (FVPS) has been helping victims of domestic violence in San Antonio since 1977. FVPS began as an emergency shelter for women and children and we now offer a complete array of shelter, transitional housing, counseling, children’s, and legal services to help individuals and families recover from the pain and long-term effects of domestic violence. St. Jude House provides services to victims of domestic violence and/or sexual assault and their dependent children. We provide services to clients without regard to race, color, religion, gender, national origin, age, disability or other status applicable by law. Our facility is accessible to differently-abled clients. Shelter and crisis intervention services are available 24 a day, 365 days a year. All services are provided free of charge. > The Children's Shelter is a private, non-profit, nationally accredited corporation that has been providing services to San Antonio and Bexar County since 1901. The mission of The Children's Shelter is to "Strengthen our community by providing safety, well-being and lasting families for children." Our core values are respect, compassion, optimism, integrity, team spirit, and excellence. 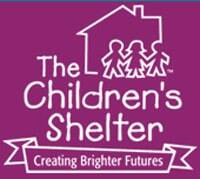 The Children's Shelter's services have expanded from emergency shelter care to a continuum of care of emergency shelters, foster care, adoption, residential treatment care, child abuse prevention and teen pregnancy programs. The mission of Catholic Charities is to provide for the needs of our community through selfless service under the sign of love. We are committed to empowering individuals and families in our community and beyond with the goal of fostering independence. We provide over 20 bilingual and culturally sensitive programs in 19 counties that empower individuals and families in our community to become self-sufficient. A county shelter serving the city of Rockport, town of Fulton and all of Aransas County. Our guests are animals found running loose and pets given up by their owners. All animals in this facility are posted on Petfinder and also checked against our file of lost pets. If the animal is not claimed within five days they are evaluated and placed for adoption. Our goal is to see them all go to good homes where they will be happy. Please help us make that happen. 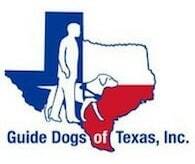 Guide Dogs of Texas provides quality guide dogs for Texans who are visually impaired to increase their freedom, mobility and independence. We are committed to personalized service and lifelong dedication to our clients and their guide dogs. San Antonio Kidney Disease Center Physicians Group, P.L.L.C. 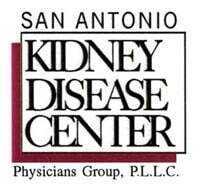 (SAKDC) is the largest nephrology practice in San Antonio. We specialize in the diagnosis and treatment of high blood pressure, kidney disease, hemodialysis and peritoneal dialysis, as well as the preparation for and treatment of patients with kidney transplants. 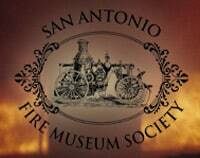 In 1997, a group of fire fighters banned together and came up with the concept of creating a fire museum for San Antonio; to preserve the rich historical culture of the department; to collect, preserve, and archive the records of the department and to continue an educational program aimed at educating the San Antonio citizenry regarding fire protection and prevention. Silver & Black Give Back is a 501(c)(3) public charity. The charity was originally created in 1988, when there was only one team in the SS&E family and has historically been known as the Spurs Foundation. The new name reflects the work it does in conjunction with all of the SS&E teams; the Spurs (NBA), Rampage (AHL), Silver Stars (WNBA) and Austin Toros (NBA Developmental League).